We are fearless innovators. We are joyful creators. We are strengthened by our experience. And trusted for our expertise. We deliver interactive experiences and strengthen your business. We are geeks who create magic. Code is our passion, usability is everything! Spree has three focus areas that together complement us in terms of expertise and business. We develop tailored solutions with a focus on interactive installations and customized IT systems. With mission-specific teams in our office, we run projects from start to finish to ensure that we deliver solutions based on our vision. Parallel to our “in-house” project, we also are strengthening our customers IT projects with competence rental. Our developers and UX designers become part of the client’s team on both long-term mission, but also shorter projects. With our third focus area, we make sure to always be at the forefront when it comes to technology, hardware and software. We have a constantly updated lab environment where we experiment and explore what new technology can offer to our customers. To create unique experiences that provide benefits, we always customer and user needs and combines this discovery with our own experience and the desire for new technology. We have over the years developed a process that is our basis in all projects. Iteratively, we work with the following steps. Explore the needs and wishes. Idea generation. Establish concept: What exactly should we do and what parts should the concept include? Identify content using design sketches, technical descriptions and research. Production: Production of solutions. We work iteratively with Hi-fi prototypes that are built in the form of demo stations. Targeted User Testing is performed. Installation and Testing: We install and test our solutions in place. The solutions is stress tested in the actual environment. In order to enable our customers’ visions, we have, in addition to our process, a wide range of areas of expertise in both soft and hardware, design and project management. Below you will find an ax of the areas that Spree manages as consultants and as teams in place at our office. We combine expertise in requirements definition, UX and design with front and back end programming and sensor and hardware programming. We produce complete solutions or specific sub-projects depending on the customer and project requirements. We work continuously to further train our consultants with courses and time for the lab. Largely our consultants are certified in their field and are encouraged to disseminate their skills to their colleagues. We are proud to spread our knowledge and coaching colleagues and customers. Many of our consultants have experience in lecturing about their field of expertise. With experience in various businesses, we see clearly what creates success. We guide our clients in the strategic choice to build a future-proof solution together. We love what we do and it is reflected in what we deliver. The consultants on Spree takes pride in being geeks in their field and we see this passion as a precondition for achieving high quality. To deliver on time and with quality may sound cliche. But it is the success factor behind The cooperation with our customers, when we worked with the same costumer as most since 2001. Curiosity is characterized by all our employees and is a basic requirement for developing and performing at the top. We constantly strive to be curious about new technology and better solutions for our customers. Spree was founded in 1998 and has over the past 18 years built up extensive expertise in IT solutions of different character. The company was founded under the name Marotz and had a beginning as the main business IT consultant rentals. In connection with the 2008 Microsoft launched its pixel offsets Surface multi touch table we started to develop interactive solutions for museums and businesses. We have since then developed this into a separate business and currently works with both leased expertise and comprehensive solutions in our office. 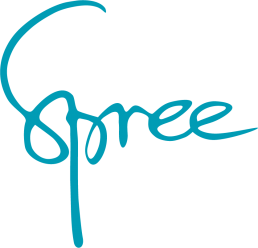 2013 we changed our name to the Spree. Marotz is founded. Business IT Consulting. Purchases the Swedish part and takes the board as a shareholder. Renamed Synaptic. Pixelsense Multitouch board. The development of interactive solutions to museums and companies accelerated. Winner of Microsoft Awards. Spree works with both comprehensive solutions and hired skills. Right now we are experimenting a lot with VR and AR! Our newly purchased Hololens decorate the office with a hologram and new VR games developed for the Samsung Gear VR.